Looking for recommendations and input on vendors that provide these platforms. I am looking for feedback on how institutions report loan as fraud on a member's credit report. If an indiviudual opens an account and a loan using fraudlent information does anyone currently have a process or procedure for how they report this type of fraud on the credit report? Would anyone be willing to share what you charge for doc prep & underwriting on CML & Consumer ILA's? Also do you have separate GL accounts for each fee. Example, flood, credit report, appraisal, etc. How do you balance those GL accounts? Good afternoon! Before I create something... does anyone have a checklist/spreadsheet/review worksheet/etc. that is configured to check for all requirements under Reg Z for credit card disclosures? As your institution looks to the year ahead, a key consideration is how to do so in a safe and sound manner. Regulators don't expect FIs to be totally risk-free, but they do expect institutions to manage risks with sound banking practices. Interested to see if anyone is willing to share samples of your UW standards. Just looking to realign a few things based on credit risk and ensure we are abiding by fair lending rules. Workout loans- how do you disclose? How do you disclose workout loans involving a primary residence? For example, if a home equity loan has reached a maturity and the borrower does not qualify and/or the property value has decreased; how do you all handle a workout rewrite of the balance? Assuming the borrower cannot obtain financing elsewhere and we are left to do some sort of term out of the current balance. Our compliance department wants to fully disclose as a new loan. Our credit side wants to structure the repayment outside of any current product offerings therefore we are unable to provide disclosures that match our laserpro documents. Our current consumer home products are all fully amortizing with relatively low interest rates. We want the workout to be a higher rate (for the risk) and have a balloon (if possible). Compliance is worried about HPML disclosures. Does anyone have a Credit Card Risk Assessment for an internal credit card program that they are willing to share please. Would anyone be willing to share a Credit Analyst checklist and procedures. We are trying to formalize this area to promote accountability within this function. We have several new analysts that would find this helpful. Thanks in advance. This whitepaper helps to explain the biggest obstacles credit analysts face with global cashflow when they have to combine business, real estate, and guarantor income debt. It'll help you avoid double-counting, incomplete information and errors when combining personal and business incomes. Loan review gets a bad rap — it's often assumed to try to and find something wrong with everything. An FI needs to grow their assets, but in a safe way. 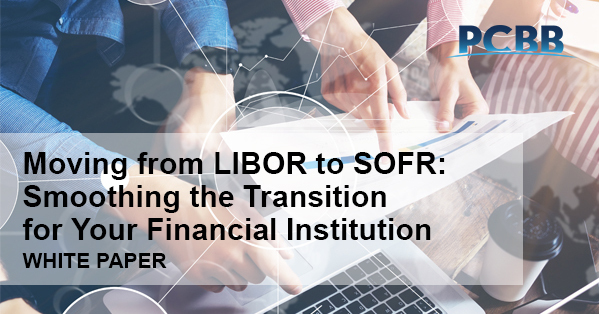 With that goal in mind, challenge functions play a critical role: not to say "no," but to create a partnership between the lines of defense protecting a financial institution's overall goals.